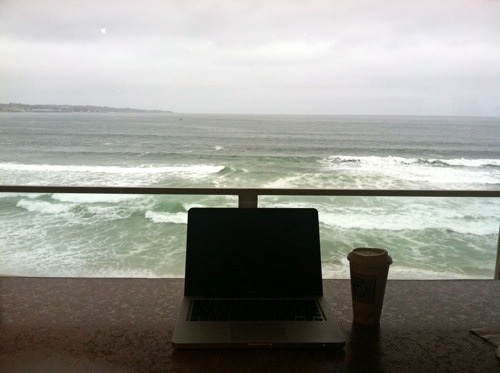 One favorite writing spot: any room with a view of Monterey Bay. “Resisting The Temptation To Make It Easier,” The Chronicle of HIgher Education. “Assumption students divided: Roll Irish?” Worcester Telegram. “Lessons in Transcending Geography,” The Chronicle of Higher Education. “Dogs in the Dark,” Brevity. “Wasted Words (Or Not),” The Chronicle of Higher Education. “The New Job and the Single Professor,” The Chronicle of Higher Education.